Egypt flavours and spices make Egyptian Food all the more enticing. 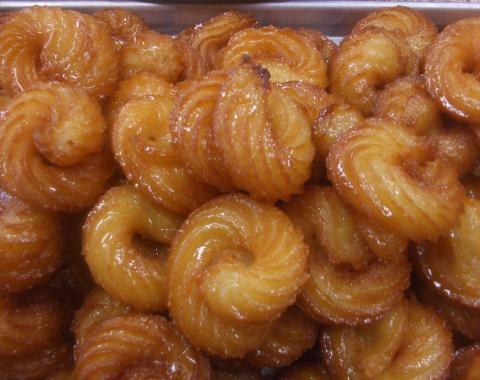 Egyptian foods are mouth-wateringly delicious and hard to ignore. Be sure if you can handle spices and flavours, if not keep antacids with you. But don’t miss it, or you are bound to regret later..
Egypt Food is known for its spices. There are some spices that are part and parcel of Egypt cuisines. Such as:Cumin coriander,Cardamom,Chilli,Aniseed,Bay leaves,Dill,Parsley,Ginger,Cinnamon,Mint,Cloves..
Egypt meat is basically Lamb and beef, rabbit, pigeon, chicken, duck, and a variety sort of meat called Offal. • Ful medames: It is one of the national dishes that is cooked with fava beans and served with olive oil to be topped with cumin. • Molokhiya: Another infamous national dish which is a popular green soup cooked with finely chopped jute leaves, sometimes with chicken or rabbit. • Falafel: Also called Ta’ameya is cooked with fava beans and served with fresh tomatoes, tahina sauce and arugula. • Kushari: The national dish and often as street food, cooked with rice, macaroni and lentils mixed together, topped with a spiced tomato sauce, and garlic vinegar. Often garnished with chickpeas and crispy fried onions. Whereas sprinkling of garlic juice, or garlic vinegar, and hot sauce are purely optional. • Fatteh: A traditional dish eaten on festive occasions, is a mixture of rice, chunks of lamb meat, eish baladi cut up into pieces and prebaked in the oven, all covered in a tomato and/or vinegar-based sauce. • Bamia: A stew cooked using lamb, okra and tomatoes as primary ingredients. • Besarah: A dip cooked from peeled fava beans and leafy greens and served cold topped with fried onion. • Shawerma: A Levantine cuisine and popular sandwich of shredded beef, lamb or chicken meat, rolled in pita bread with tehina sauce. • Torly: A dish of baked squash, potatoes, carrots, onions, and tomato sauce served in a flat tray. 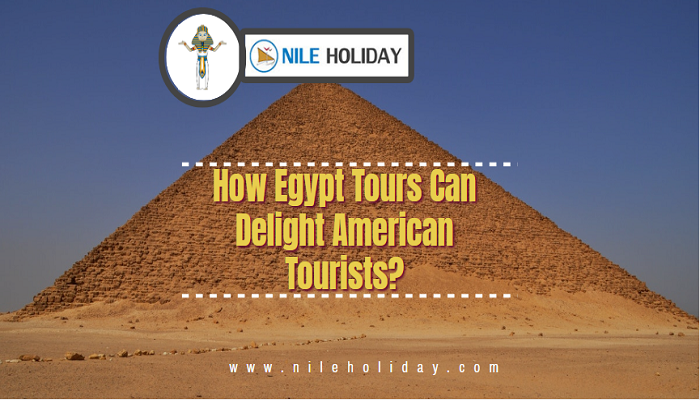 How Egypt Tours Can Delight American Tourists ? 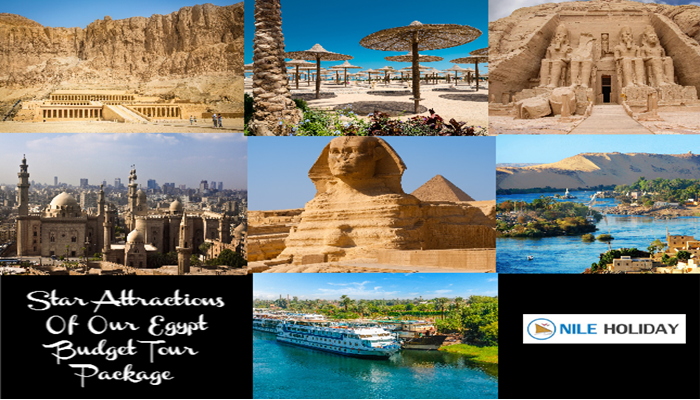 This Amazing Tour Packages For You.